Norwegian has joined lines including Princess, Holland America and Carnival this week in updating their smoking policy. Effective January 2012, passengers residing in balcony staterooms are allowed to smoke cigarettes only on their balconies, whilst smoking of any kind is no longer permitted inside cabins. 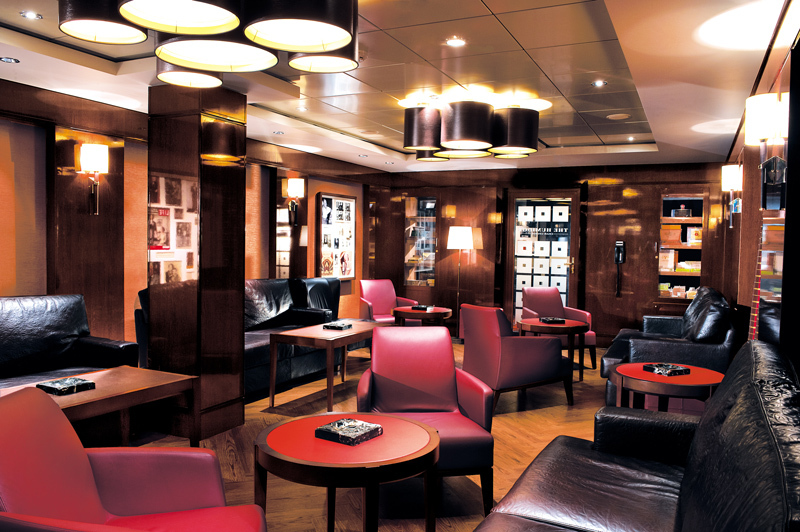 Those wishing to smoke cigars or pipes along with cigarettes will be allowed to do so in the enclosed cigar bars on board Epic, Gem, Pearl, Dawn and Spirit as well as in designated outdoor public guest areas and open decks. Following a change in guest preferences, Norwegian is aiming to reduce the presence of smoke indoors, with the casino the only indoor public space across the fleet designated as a partial smoking area. Originally published on e-Travel Blackboard. This subject keeps rearing its (some may say ugly) head and it’s only a matter of time for all major cruise lines to follow suit. I think that Norwegian have been completely reasonable with these amendments and, unlike some other lines, have kept their policies fair for both smokers and non-smokers. What are your thoughts on the update in smoking policies across an increasing number of cruise lines? Thank you, my last cabin, the closet smelled of cigarette smoke and my cloths ended up with the odor. Hope to see the casino go completely non smoking like some of the other lines. In our past cruises we gambled quite a bit but with the dense smoke it is hard to breath. Your cloths smell constantly and it’s just annoying. I look forward to more cruises with NCL (this is our 7th) with a new smoking policy. Hopefully some time in the future the casino will be smoke free. Thanks for the feedback Janice. It must be so hard for cruise lines to try and keep everyone happy! I do think that NCL has found a happy medium here…so I guess we just have to wait and see if they make the policy more stringent moving forward. Thank you for taking the time to reply. NCL does care! Saling on Sept. 2nd and hopefully booking our next cruise in a couple of weeks. All it means is that the smoke from one balcony will be sucked into the adjoining cabins whose sliding doors are open. The issue of smoking is about health and safety and not about human rights. Most smokers are selfish with no consideration to the health and well being of others. And the reasons are simple it is a drug addiction the compulsion for which overules both personal care and the care of others. There should be no smoking anywhere in the confines of the cabin or balcony. Special designated areas on the ship need to be allocated and enforced. Perhaps the cruise ships could do what most hotels have done and have areas on decks where smoking on cabin balconies is allowed? I think it’s important to offer alternatives for all passengers and there are still a lot of passengers who smoke after all!